Where an employee dies from an industrial accident (one arising out of and in the course of employment), their dependents are entitled to a California workers compensation law death benefit claim. 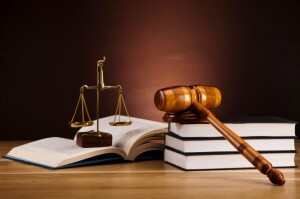 For all death claims, there must be a separate death claim application filed with the court. In addition, all parties that could be considered dependents must be joined in order for the court to decide the entire liability of the claim in one single proceeding. Unless a dependent is entitled to a conclusive presumption of total dependency, the State of California (Non-Dependent Death Unit of the Division of Industrial Accidents) must also be jointed and is responsible for managing every claim where employee death could be caused by industrial factors. This is true for all cases involving dependency issues where potential dependents could get compensation for work related injury resulting in death of the employee. The judge has the ability to order the joinder of all appropriate parties to the case and will designate the party or parties who will make services of all applicable documents (medical reports, minutes of hearing, order for joinder, the application for adjudiction, etc.) on the party or parties that need to be joined. See Title 8 of the California Code of Regulations, Section 10380. Legal representation on such claims is highly recommended because the claims process is somewhat complicated. Furthermore, a California workers compensation law attorney will be able to argue that the injury causing death was industrial related in the event an issue arises following the submission of the case for adjudication. Remember, the law allows anyone filing an application or claim for benefits to have representation at any time during the process. Those who were the dependent of the injured worker need to first file a claim form with the employer under Labor Code Section 5401. Following that filing, the dependent needs to file a separate death claim application. Once the application for adjudication is filed and properly served on the defendants, all other parties (other possible defendants and dependents) need to be joined and properly served. When possible, the initial filing should include all possible documents that can help establish the cause of death as well as the dependency status of the person seeking the California workers compensation law death benefit claim. These documents include but are not limited to the following: autopsy report, death certificate, marriage certificate, birth certificates of minor dependents, petition for guardian ad litem and trustee for minors or incompetents in necessary to bring the action (no other legal guardian living following the passing of the employee). And, of course, all documents must be served on all parties and defendants to the claim. We work with families and dependents of those who have died from an industrial accident in the State. If a loved family member has recently passed due to an accident or illness that is related to their job, it is important to seek counsel with an attorney experienced with the California workers compensation death benefit claim. Here at our law firm, we are open to discuss your situation for free as part of an initial legal consultation. Further, we provide contingency fee representation on death benefit claims, which means no fees unless recovery is achieved. This allows our clients to obtain the representation that they need even if they do not have the money to pay by the hour. We are available to evaluation your circumstances 7 days a week (8AM – 6PM Monday – Friday, Weekends by appointment) to help you through a difficult time. Please do not hesitate to call us at 909-325-6032. 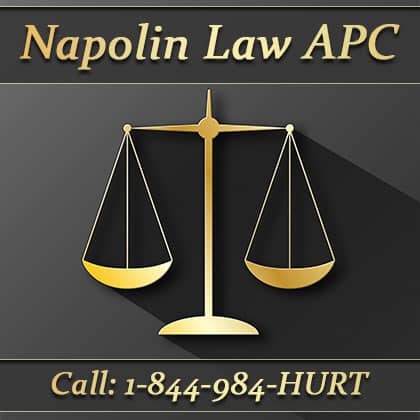 For more information visit www.napolinlaw.com.